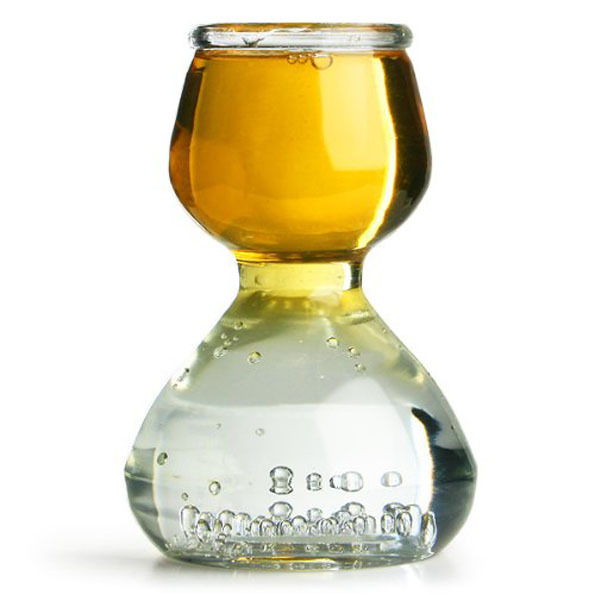 Quaffer Shot Glasses is selling this glass that contains your shot AND chaser. It holds 2.5 oz of chaser on the bottom, 1.5 oz shot on the top, and cuts down on half the dirty glasses to clean the next morning. Genius! The product description claims the Shot/Chaser Glass makes a great gift. And I agree 100%! My birthday is coming up and I would not complain if you got me one of these. In fact, I’d appreciate it. A lot. You’d probably even receive a hand written Thank You note in the mail. Not because I have manners — nobody else is getting one! — but because damn, you sure know how to pick a gift.